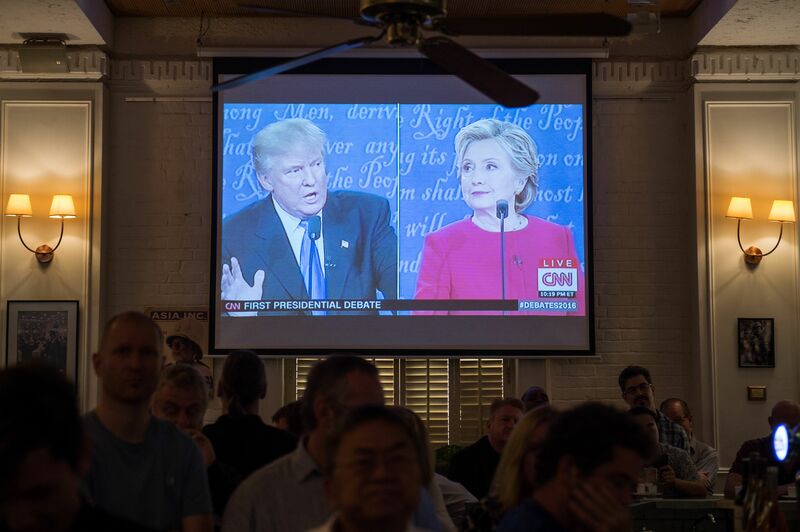 According to preliminary data from television ratings company Nielsen, the first presidential debate smashed viewership records from previous elections, with over 80 million people tuning in to watch Donald Trump and Hillary Clinton on television. The previous record, held by President Obama's debate against Mitt Romney in 2012, was only about 70 million viewers, and before that, the record was 53 million during the 2008 debate between then-Senator Obama and Senator John McCain. The data shows that this election is both widely followed and wildly important, and that there's still some room for improvement. The great thing about the record viewership is that it theoretically gives more accurate insight into how the election might play out. Although there's no way to scientifically determine the makeup of the viewing population (i.e. people who are ineligible to vote vs. eligible voters vs. likely voters), more people who watched should correlate with more people who will be voting in November. Judging from the social media impressions, post-debate polls, and focus groups that will all be scored and tallied by the campaigns and media outlets in the coming days, the country could have a concrete idea of who the winner will be in November. 80 million is already an incredibly high and reassuring viewership, but it still isn't enough. The viewership should really have been closer to the entire population of the United States, because this election is just too important for you not to pay attention to and have your say in it. Clinton vs. Trump represents the severe ideological divide between conservatives and liberals that is currently splitting the country, and whoever wins this election will lead the U.S. in a new direction. Staying informed about and involved in what's going on by watching the debate, consistently following campaign coverage, and giving yourself a voice before and on Election Day is the best way to ensure that the new direction is the one you want. There are more debates coming up soon, so if you know anyone who didn't tune in Monday night, get them to watch next time. It's just too important not to.